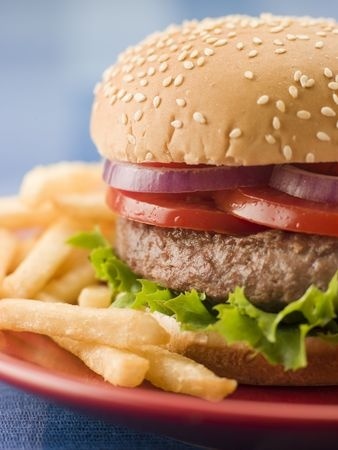 Half price burger deals in Wilmington Delaware and nearby PA. Anyone can find a cheap fast food burger. When you want a bit more quality, service, and atmosphere, here are the burger deals at local restaurants as verified in January 2018. Klondike Kate's: 158 E Main St., Newark 302-737-6100 half price burgers all day. Stanley's Tavern: 2038 Foulk Rd., Wilmington 302-475-1887 half price Kobe and beef burgers all day. Tom Foolery's Restaurant & Bar: 714 Ash Blvd, Middletown 302-449-2211 $6 burgers until 9:00 pm. Piccolina Toscana - 1412 N. Dupont St, Wilmington 302-654-8001 half price burgers. Ernst & Scott: 902 N. Market St., Wilmington 302-384-8113 B&B Night - half price Burgers all day. RedFire Grill & Steakhouse: 400 Lantana Drive, Lantana Square Shopping Center, Hockessin 302-235-2600 half price burgers all day. Cantwell's Tavern, 109 Main St., Odessa 302-376-0600 half price burgers all day. Deer Park Tavern: 108 W. Main St., Newark 302-369-9414 half price burgers all day. Kid Shelleen's: 1801 W. 14th St., Wilmington 658-4600 half price burgers all day, dine in only. Only 25% off for take outs. McGlynns Pub: (all 3 locations)800 N State St., Dover 302-674-0144 9 Polly Drummond Plaza Shopping Center, Pike Creek 302-738-7814 108 People's Plaza, Bear 302-834-6661 half price burgers all day. Stewart's Brewing Company: 219 Governor's Place, Bear 302-836-2739 Half price burgers all day/night. Mulrooney's Tavern: 201 New Rd., Elsmere 302-654-9661 $3 half price burgers. Skipjack: 401 Louviers Drive, Newark 302-456-1800 All burgers $10 unless otherwise noted. Scratch Magoo's: 1709 Delaware Avenue, Wilmington 302-651-9188 $5 Cheesesteaks. 2 Fat Guys: 701 Ace Memorial Dr., Hockessin (Rt 41 at DE/PA border) 302-235-0333 & 3801 Kennett Pike Suite E120, Greenville 302-543-4053 half price burgers all day, dine in only. Gallucio's Restaurant & Pub: 1709 Lovering Ave., Wilmington, 302-655-3689 half price burgers 11 - 8 pm. Brandywine Prime Seafood & Chops at Chadds Ford Inn: Route 1 & Route 100 Chadds Ford PA, 610-388-8088 half price burgers in the tavern all night. BBC Tavern & Grill: 4019 Kennett Pike, Greenville 302-655-3785 Half Price Classic Burger 3:00 - 6:00 pm Happy hour. BBC Tavern & Grill: 4019 Kennett Pike, Greenville, 302-655-3785 Bloody Mary, Fries, burger for $15 from 11:00 am to 2:00 pm. Cromwell's American Tavern & Taqueria: 3858 Kennett Pike, Greenville, 302-571-0561 Half price burgers, open to close.